One of the most attended cricket tournaments of the world, Indian Premier League (IPL) has been a hit since its launch in 2008. The tournament has seen 11 seasons and generally has around 8-10 teams participating. IPL, with its exciting and glamorous set up, has attracted not just millions of Indian men but families to participating stadiums every year. With vibrant live music, constant cheering and the display of some excellent world-class cricket talent, there is little doubt why IPL has won so many hearts so soon. If you are planning to watch an IPL match live from a stadium this year and have an eager wanderlust in you, why not combine the two? Skyscanner brings to you the IPL venues that are perfect travel options for short trips! Sounds super exciting, doesn’t it? Read on. Jaipur is like a colourful medley of culture, gourmet food and music. Travellers are attracted to the famous pink city of Rajasthan like moths to flames, thanks to its vivacious bazaars, lively folk festivals, majestic architecture and intriguing temples. When in the beautiful IPL venue Jaipur, you must visit the Nahargarh Fort, Ranthambhore National Park, City Palace and Amer Fort. Those looking to add a religious streak to their trip can visit the famed Birla Mandir, Raj Mandir and the Bhuteshwar Nath temple (this one after a hike). The iconic Jal Mahal offers excellent photo op throughout the day and Chokhi Dhani promises to satiate the culture vulture in you. Apart from an unforgettable IPL match, Jaipur will treat you with colourful memories you will cherish forever. Of course the first though that the mention of Hyderabad brings with it is succulent biryani. However, this IPL venue offers so much more than that. Telangana’s capital city surprises its visitors with its regal heritage, unique handicrafts and thought-provoking museums. On your visit to Hyderabad for an IPL match, you can get a glimpse of the city’s glorious past by visiting the Golconda Fort, Badshahi Ashurkhana and Chowmahallah Palace. Grab a flavour of the local film industry by visiting the Ramoji Film City or soak in the spirit of Hyderabad by walking around the Charminar and Old City. Whatever you choose to do, don’t forget to shop at one of the local markets and take a little Hyderabad back home with you. While your Mumbai visit for IPL would definitely leave the chants of ‘Malinga, Malinga’ buzzing in your ears for the longest time, this city promises to treat your other senses too! From mouth-watering roadside delicacies such as pani-puri and vada pav to luxurious dining experiences at one of the many lavish hotels with views you can never forget, Mumbai is like a Disney Land for foodies. Oh, and let’s not leave the shopaholics behind – colossal malls, quirky flea markets and trendy roadside stalls await you here. Mumbai’s night clubs, its gardens, its tough spirit and effervescent vibes are things you will remember long after you visit this city. Now that we saw some interesting IPL venues that are also Insta-worthy travel destinations, let’s look at IPL venues that are located close to some interesting travel spots. Watching an IPL match in Bengaluru is exciting but what’s more exciting is taking a short break on the following weekend. If you plan to visit this buzzing metro for the love of cricket, make sure you plan a quick trip to one of the many fantastic travel destinations around Bengaluru. You could live like royalty in Maysore, enter the pages of history in Hampi, jump right in the lap of nature in Bandipur National Park or rejuvenate at one of the many picturesque hill stations such as Ooty, Coonoor, Wayanad and Coorg. With so many tempting options, your only dilemma will be selecting which one is your favourite. When it comes to providing options for weekend breaks, Kolkata would not rank far behind from many other India states. This IPL venue treats it visitors with varied short vacation destination options from beaches to hill stations. Visit Darjeeling for its unmatchable landscapes and piping hot tea, Sundarbans for getting a rare chance to view the mighty Bengal tiger, Bakkhali for its white sand beach and Digha for its comforting food and unforgettable sunsets. 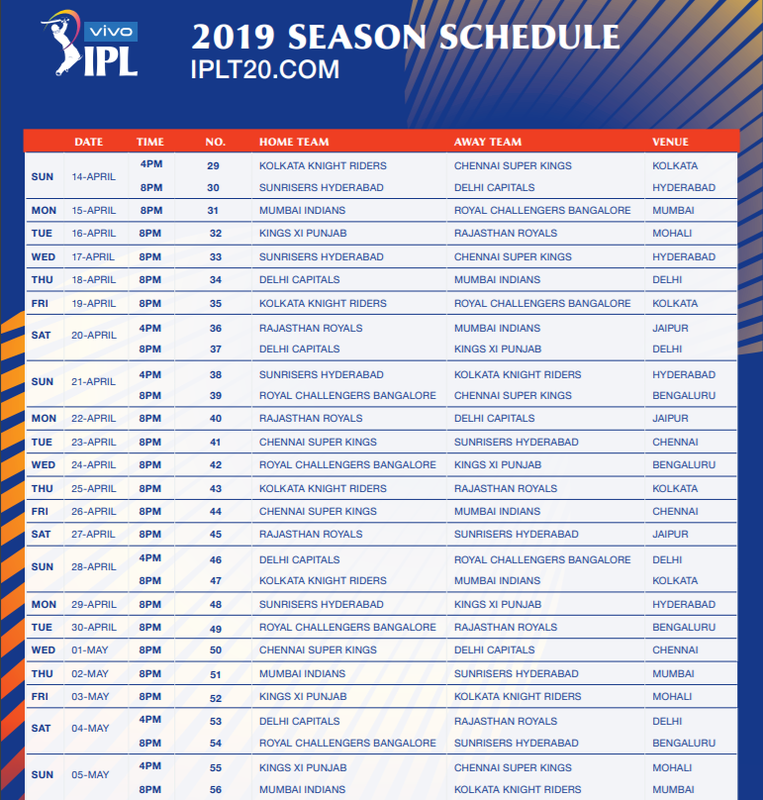 MS Dhoni’s IPL team Chennai Super Kings promises nail-biting matches and the south-India city promises access to unforgettable short trip destinations. When it Chennai for IPL, make sure you plan a trip to the colourful and serene Rameshwaram, the iconic holy town of Tirupati, the classy Puducherry or the soothing Horsley Hills. If you are a mountain lover, make sure Yercaud tops your travel options’ list. Apart from all shades of green, you will also enjoy some delicious coffee and fragrant spices here. Now that you know all about the best IPL venues across India from the travel point of view, it is time to go ahead and book that trip! Book your flights, hotel or rent a car with Skyscanner today. You can do all of these on our mobile app too. Set a Price Alert to and we’ll tell you when the prices change. Search for flights, hotel and car hire on the go.